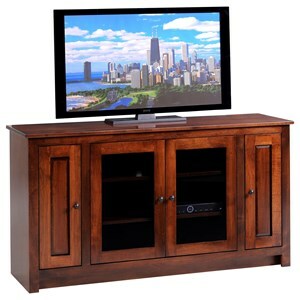 Offering up a plethora of custom options in addition to the standard features that include built-in wire management, this handsome transitional style tv stand is sure to meet your needs. Adjustable shelves throughout combine with custom size, finish, and hardware options allow you to truly make the piece your own to complete your living room. Available in widths of 48", 54", 63", and 70". 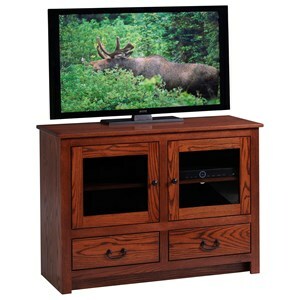 The Entertainment Bourten 54" TV Stand by INTEG Wood Products at Saugerties Furniture Mart in the Poughkeepsie, Kingston, and Albany, New York area. Product availability may vary. Contact us for the most current availability on this product.